"Tennessee" Map, published by Matthew Carey and Benjamin Warner, Philadelphia, 1816. 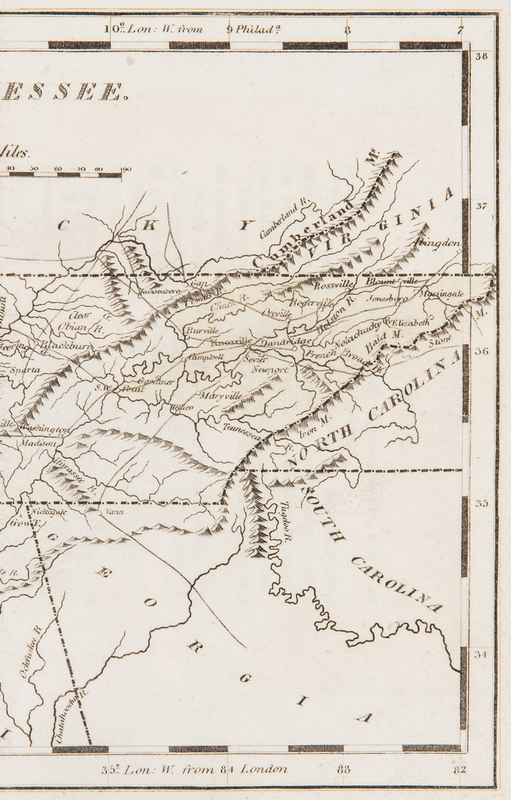 From "A General Atlas" by Matthew Carey. 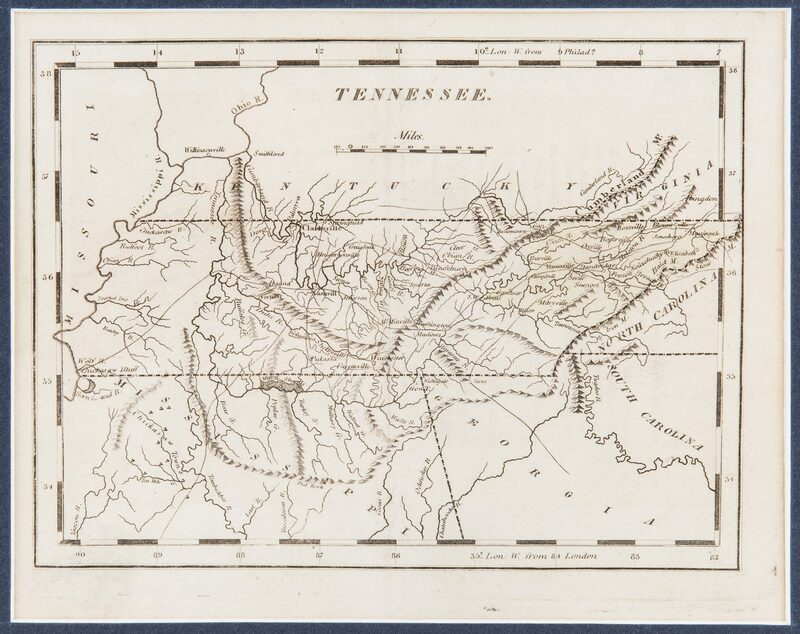 Copper plate engraving depicting Tennessee and the surrounding states with early cities and towns, including Nashville, Knoxville, Clarksville, roads, rivers, bodies of water, mountains, and other areas of interest including a shaded in portion of Northeast Tennessee over the location of the former State of Franklin. Title and scale of miles, top center. "Lon: West from Philada." 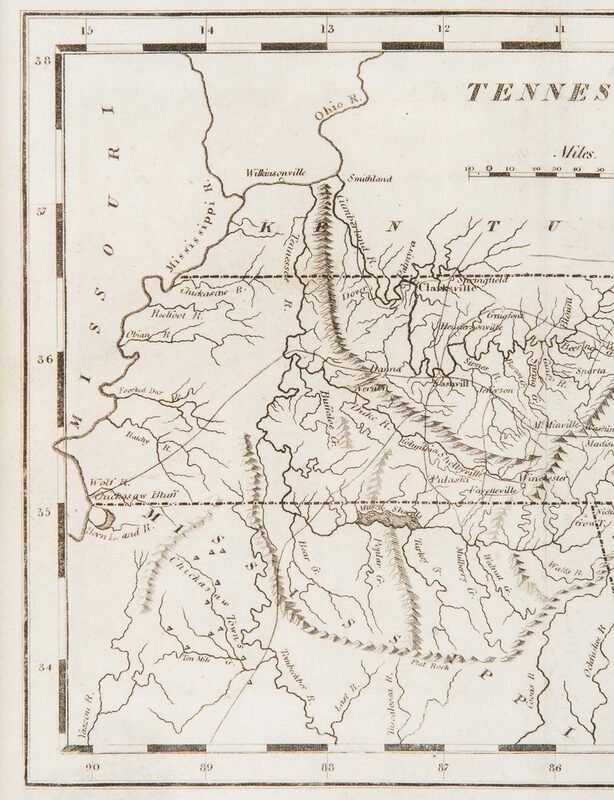 top right above map, "Lon: West from London" lower right below map. 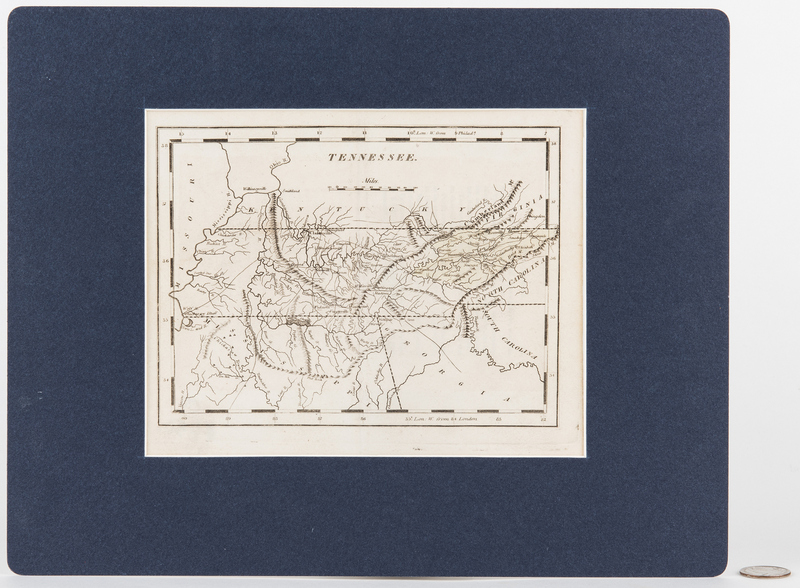 Map surrounded by scale notations and a triple line border. 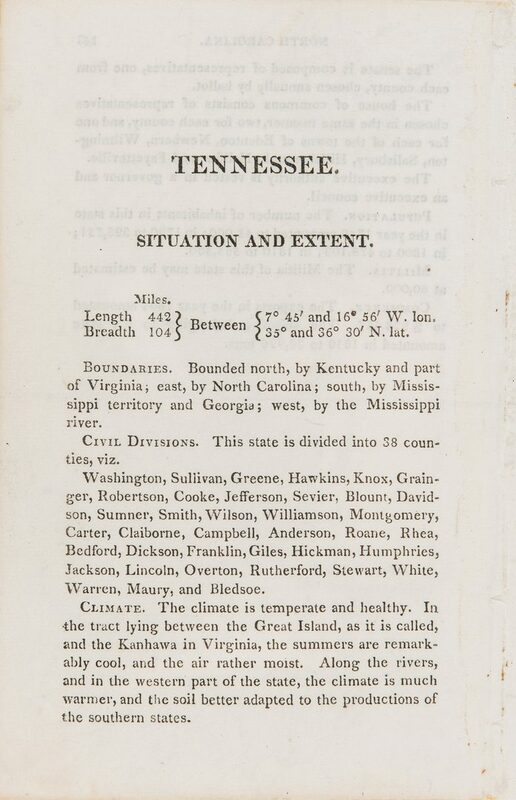 Includes text page titled "Tennessee. Situation and Extent", visible en verso. 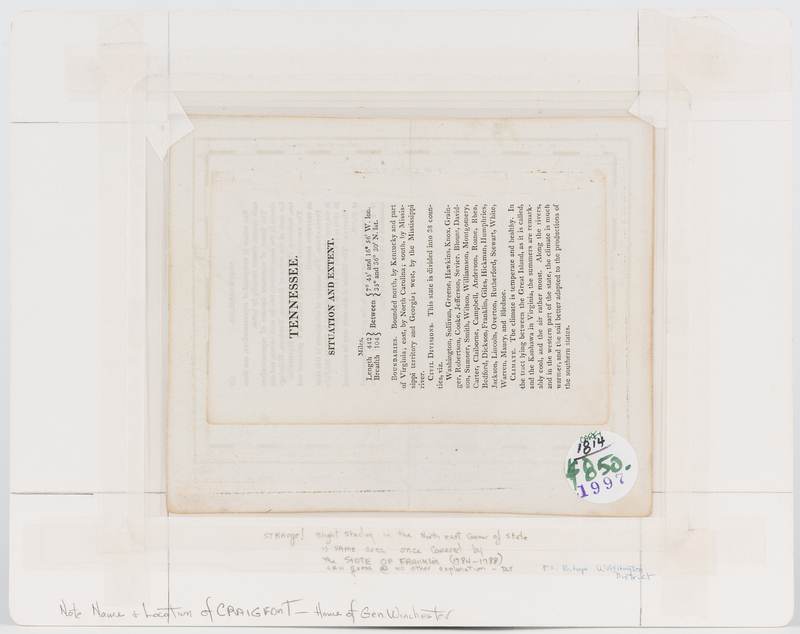 Encapsulated (not laminated) in a plastic archival sleeve and housed in a matte. Image – 5 3/4" H x 7 5/8" W. Sheet – 7" H x 8 1/2" W. Text page – 7" H x 4 1/2" W. Matte – 10 3/4" H x 13 5/8" W. Early 19th century. CONDITION: Overall good condition.